The Mountain Hardwear Optic 6-person 3-season tent is a spacious base camp tent that has tons of space for tired bodies and extra gear alike. It features two large, adjacent doors with dual-slider zippers that offer up a 180-degree panoramic view for you, and your family, to take in the morning, as well as easy access to help regulate the heavy traffic of six people. If the bugs aren't too bad, you can roll back the fly to really see how glorious the day before you is shaping up to be. Along with the two doors, two vestibules provide even more dry storage for all the gear your group brings along. The tent sleeps six people happily, perhaps even the family dog, and allows the average full-grown camper to stand comfortably with a peak interior height of 6ft 4in. Pitching is made a breeze with color-coded tabs that guide you to a speedy and confusion-free setup in minutes. The four poles are made of lightweight,super-strong DAC DA-17 aluminum, which will cut down on the stress of schlepping and guarantee you'll be using this tent for years to come. If you find yourself with the uninvited guest of rain, the Optic's polyester canopy, fly, and nylon floor coupled with DWR-coating does an excellent job of preventing soggy sleeping bags. The knit mesh canopy circulates air throughout and has built-in internal gear organization pockets for even more gear storage, Once camp is set, prop the dual-zip vestibule up to convert it into an awning and you'll have it made in the shade. Mountain Hardwear Optic 6 Tent - The Optic 6 Tent from Mountian Hardwear is a true adventure basecamp shelter! This tent has an open airy architecture with full-size doors, standing height interior, and loads of gear storage options. 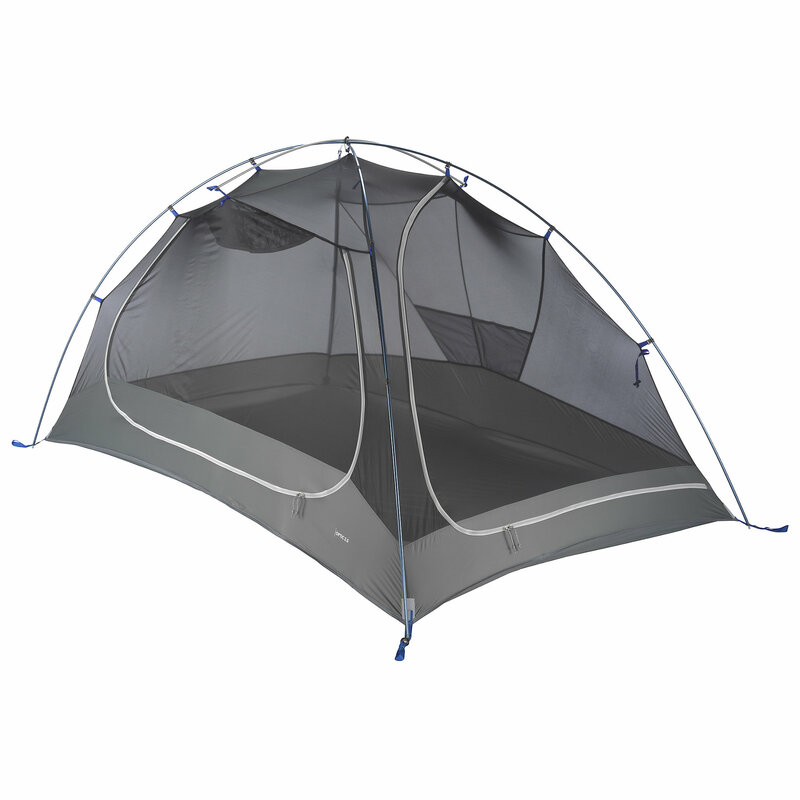 With a spacious layout the Optic 6 tent can easily accommodate 6 people in addition to gear. The doors on adjoining sides can roll back to offer a huge view as well as easy access. 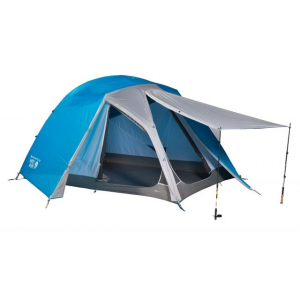 The dual vestibule design creates a dry entry into tent as well as room to store gear, and can be converted into an awning. Gear can additionally be stored off the floor using canopy pockets, divider wall, or an accessory gear loft (not included). If you are looking for space and comfort in a high quality adventure basecamp shelter, then you have found it with the Mountain Hardwear Optic 6 Tent. The Mountain Hardwear Optic 6 is not available from the stores we monitor. It was last seen March 6, 2019	at CampSaver.com.